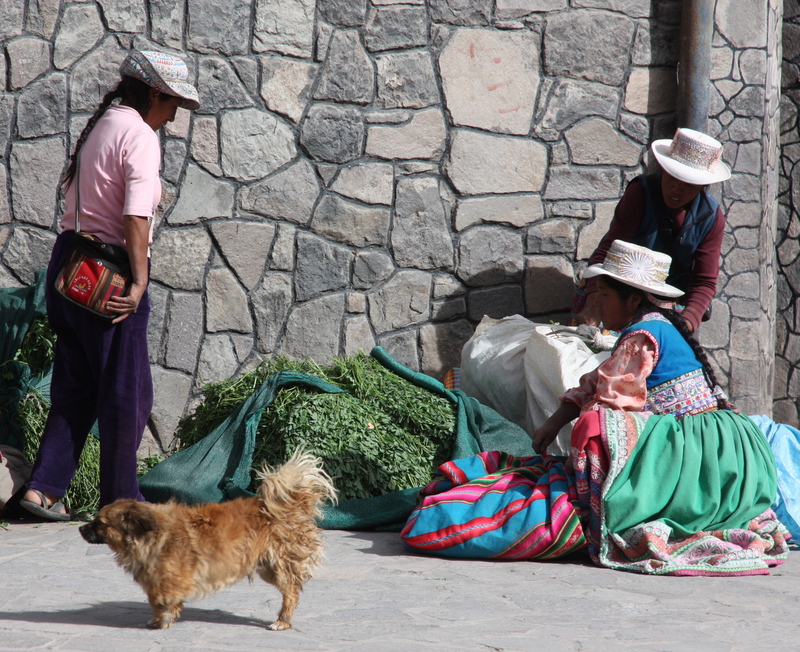 Welcome to Chivay in the Colca Valley | Where to next? We travelled to Chivay in the Colca Valley, about 150 kilometres north of Arequipa, as a staging point for our side trip to see the Andean condors. This village, with its population of 5000, is definitely set out to cater for locals and visitors. There are plenty of hostels and restaurants, a large and bustling market, and a picturesque town square. Thermal springs, with five pools, are three kilometres up the road, and there are also adventure activities, such as ziplining, on offer. Chivay has two dominate cultures represented—the Cabanas and the Kollawas. The average person can easily differentiate the women by their dress and especially their hats. Cabanas wear a heavily embroidered hat with a brim that is rolled at the back. Kollawa hats are like bright white top hats. Many are covered in sequins and have flowers on the side. If you’re interested, here’s more about these distinct hats. 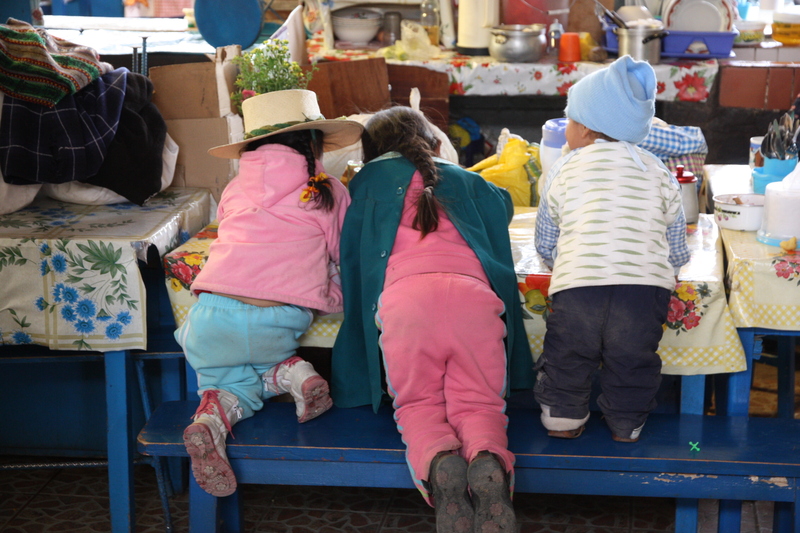 We had a nice stroll around streets of Chivay and explored the many corridors of the covered and open-air markets. There were children and dogs everywhere. Even though the village sits at 3650 metres, we didn’t feel overcome by altitude sickness. We had two very interesting meals in Chivay. They both cost about the same, but were totally different. Glimpses of a few Peruvian villages « Where to next?